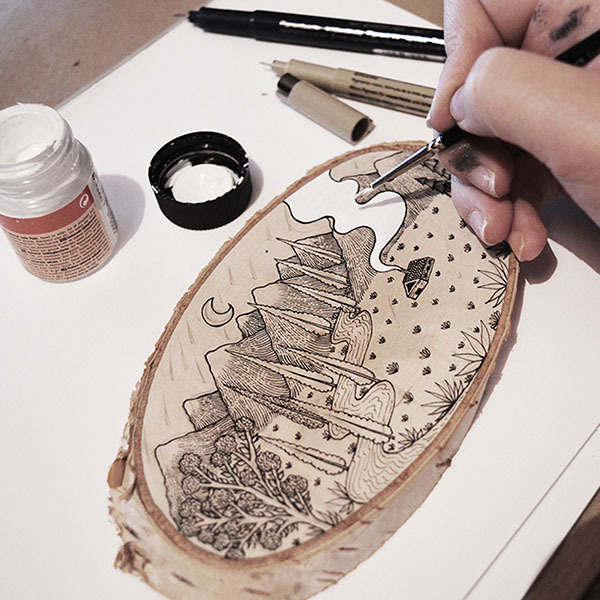 Last year I started working on a series of Wood Cut Illustrations. 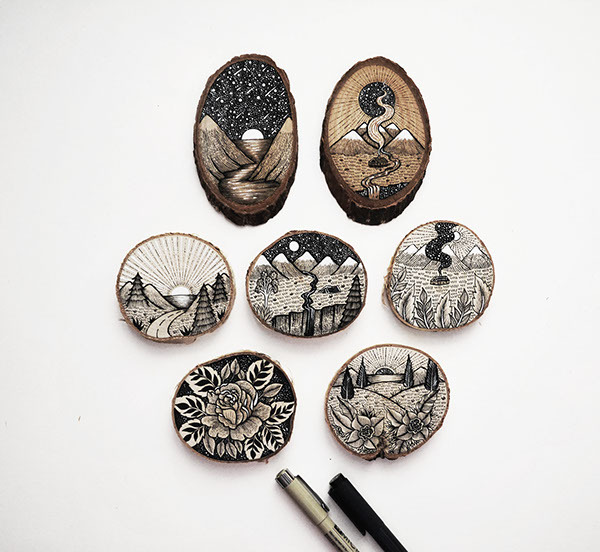 It started as an experiment and to explore a different surface, an outlet from using paper on a daily basis. 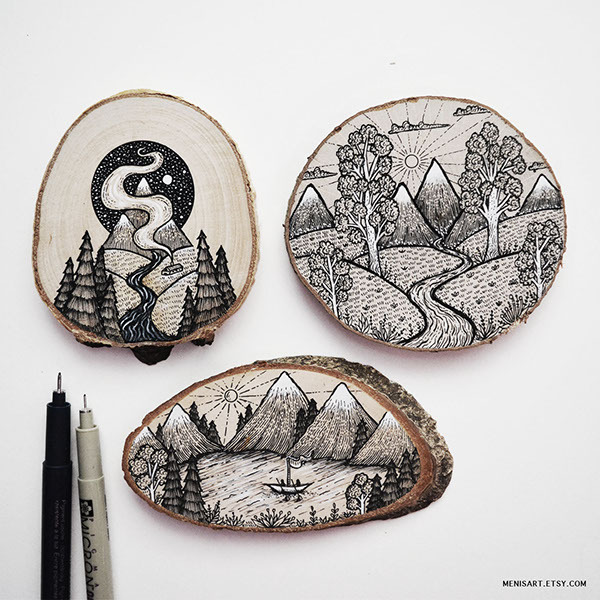 There is something scenic working on wood, it can transport you away and it gives additional meaning and purpose to the work. 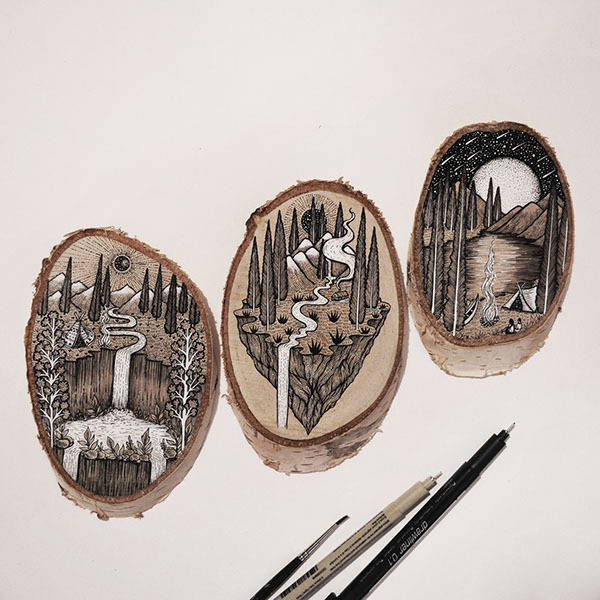 Nature has always given me great inspiration and this time I tried to capture the essence of land, long fields, high mountains and plants sometimes even exploring different themes and subjects. 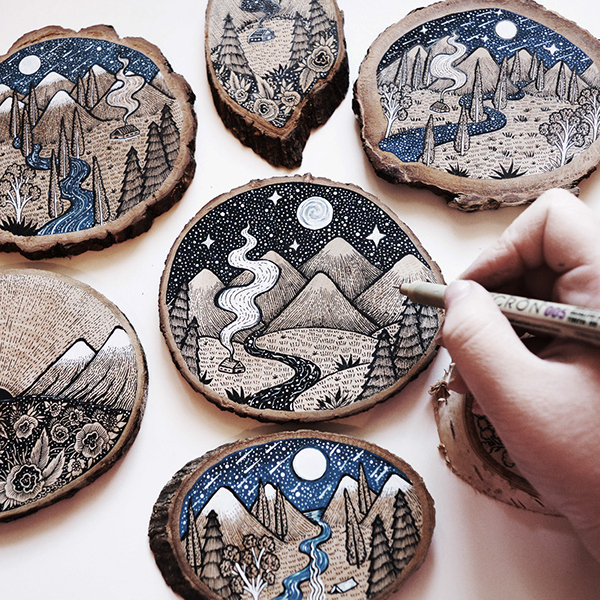 Nature holds harmony and purity. 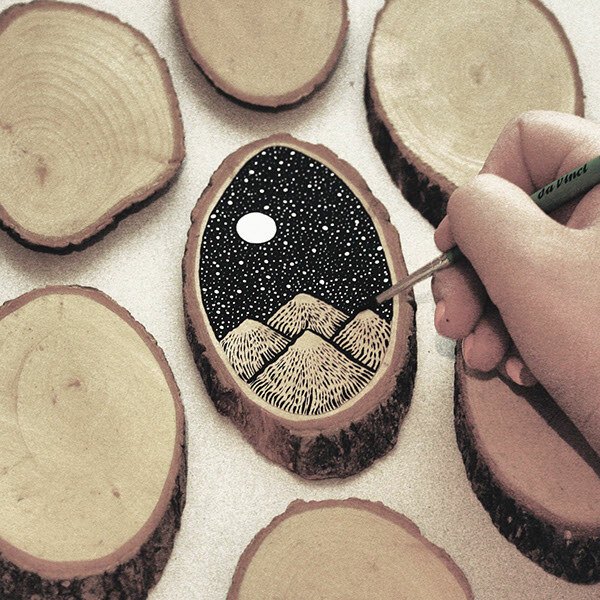 For those who want to listen, I believe it has many things to teach us. 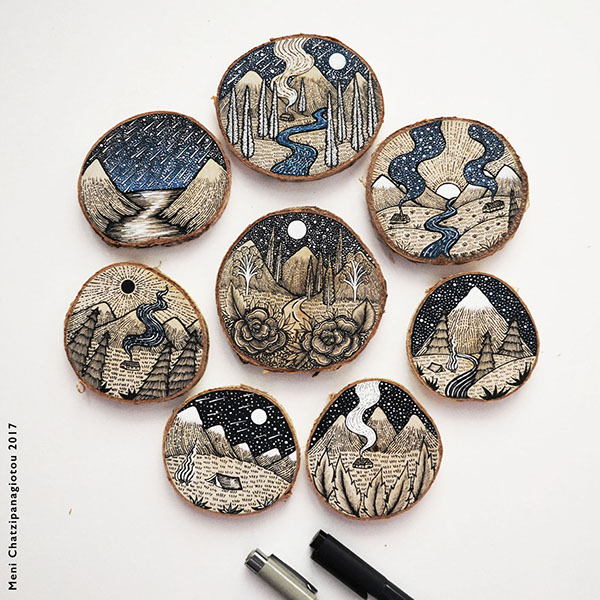 Here I present some of the wood slices I created throughout 2016 and early 2017. 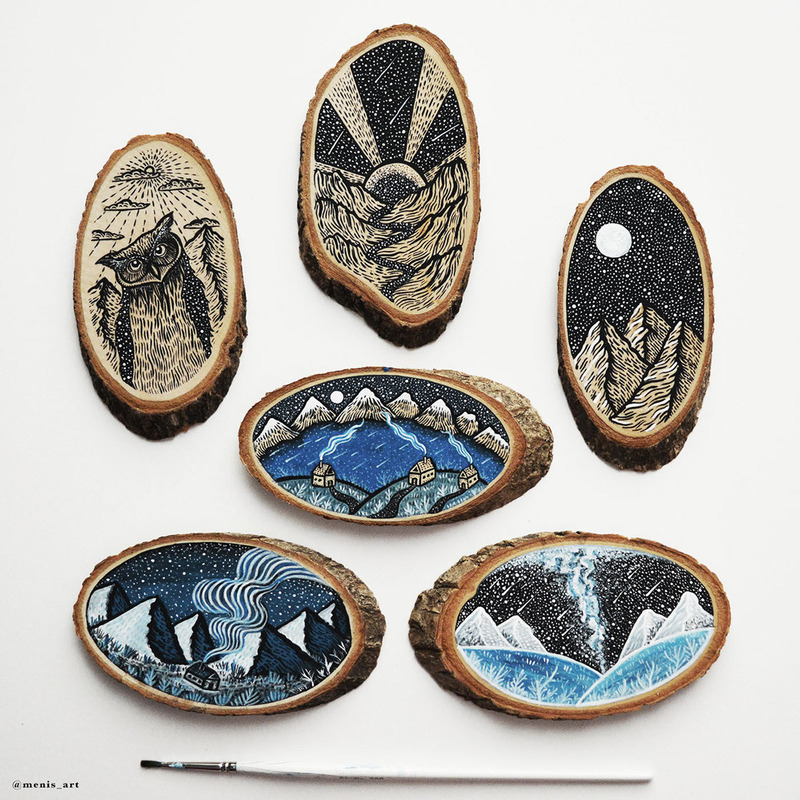 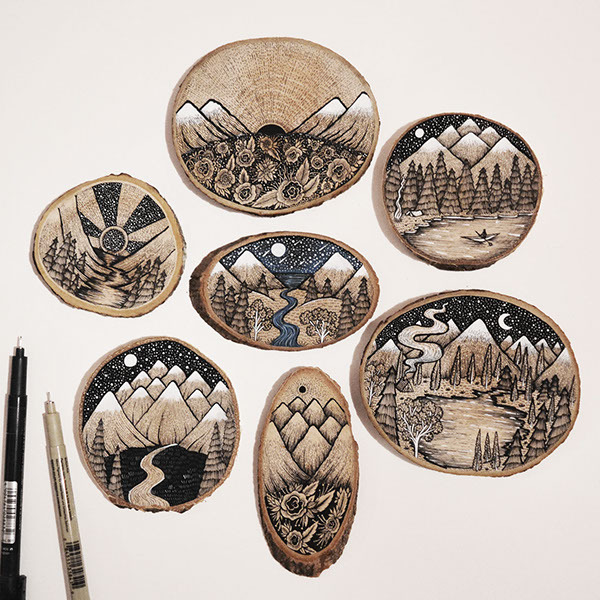 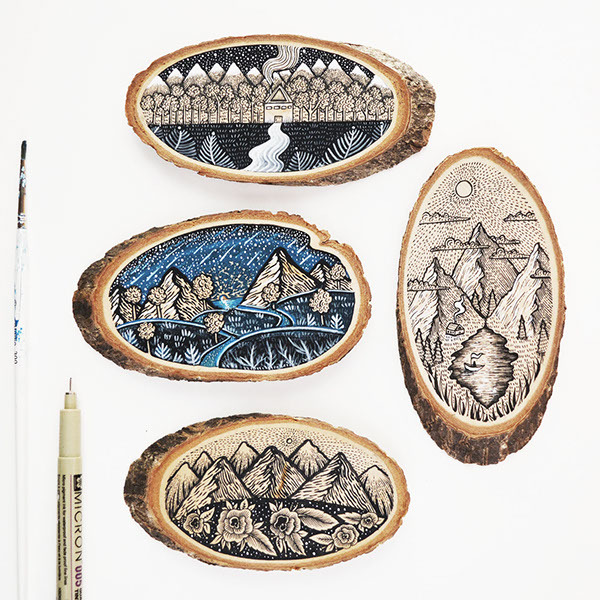 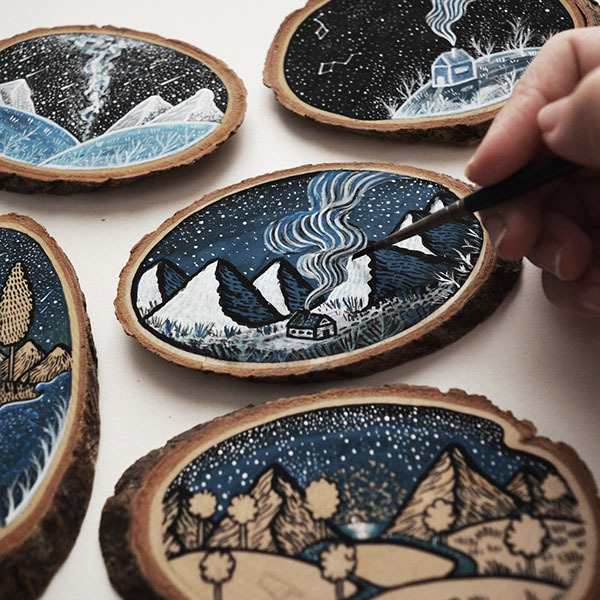 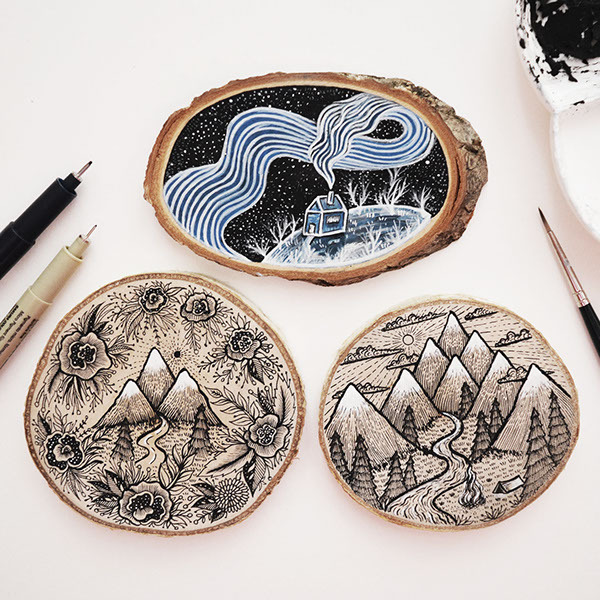 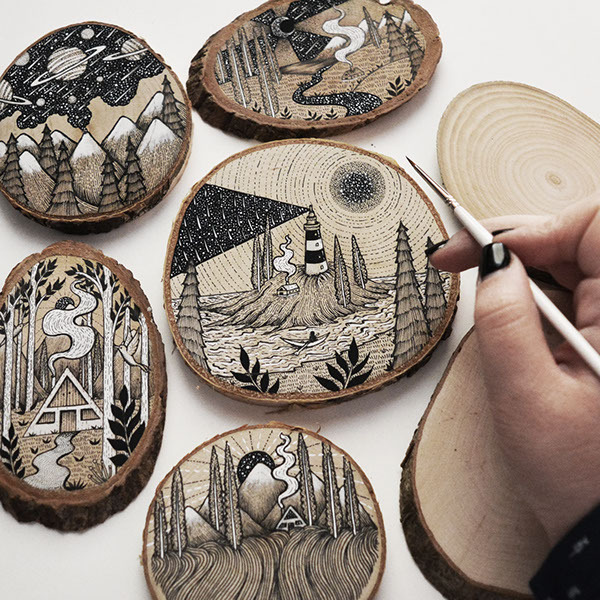 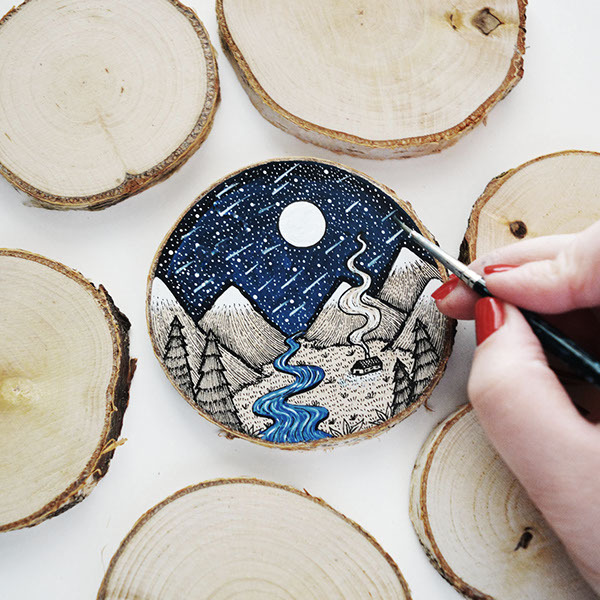 A series of Wood Cut Illustration done on natural wood, featuring landscapes. 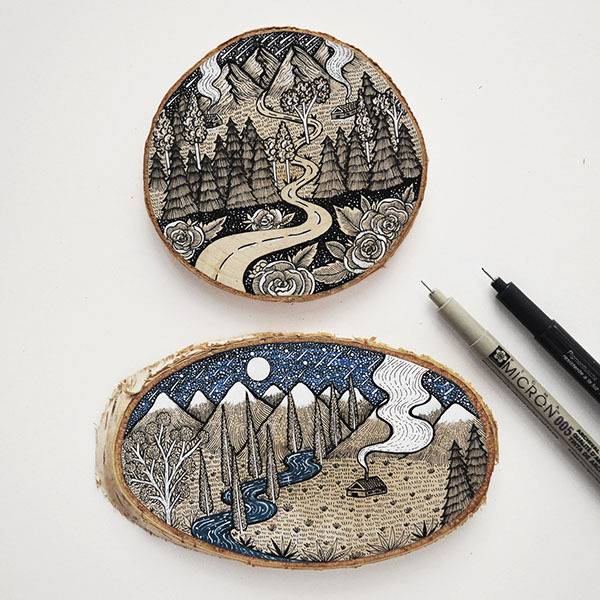 Mostly done with pen, ink, gouache and acrylics.